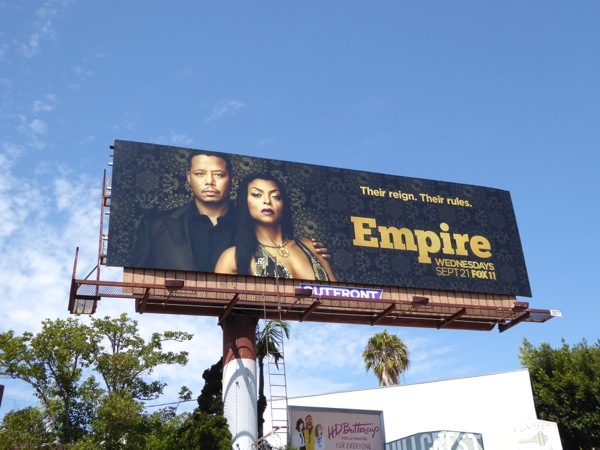 Empire's sophomore season may have left fans dangling with a killer cliffhanger, but one thing's for sure, 'Lucious' and 'Cookie Lyon' ain't going anywhere (especially as Golden Globe winner Taraji P. Henson is nominated for a Primetime Emmy award again this year). 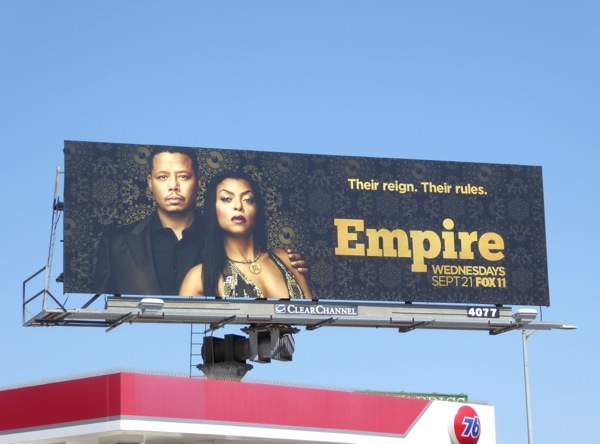 This season we'll learn how this king and queen of Empire first fell in love, plus expect lots of changes and challenges in the lives of their children 'Andre' (Trai Byers), 'Jamal' (Jussie Smollett) and 'Hakeem' (Bryshere Gray). 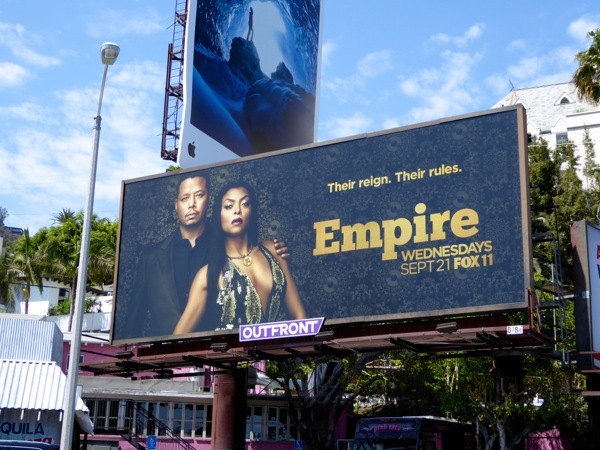 These regal Empire season three billboards were snapped along the Sunset Strip, Pico Boulevard and Overland Avenue on August 22, 2016. 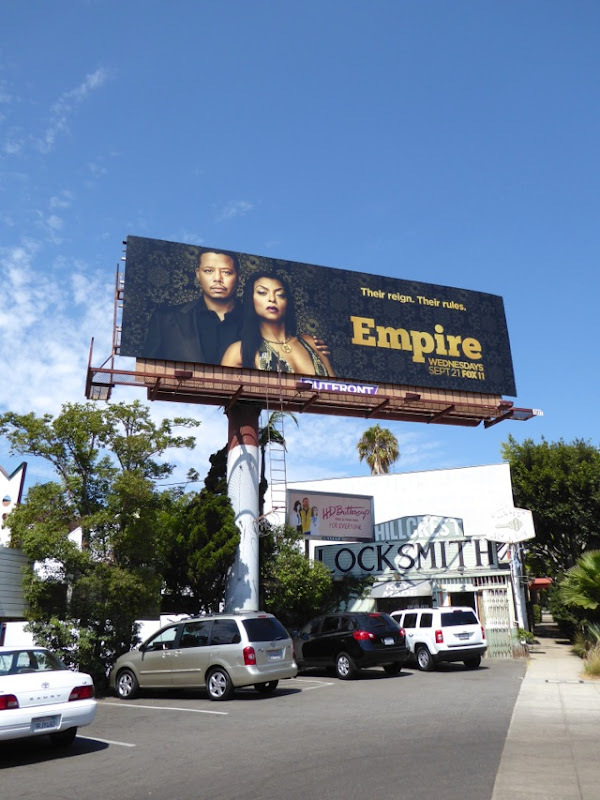 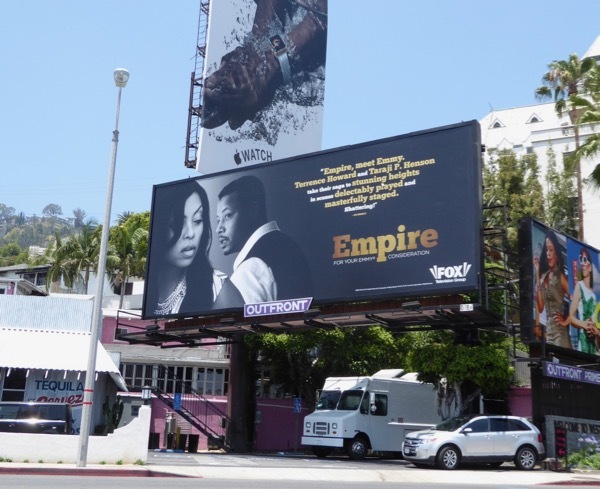 Fans of the hit series can also enjoy these Empire season one billboards and Empire season two billboards (Daily Billboard's favourites) from around the streets of L.A. in recent years. 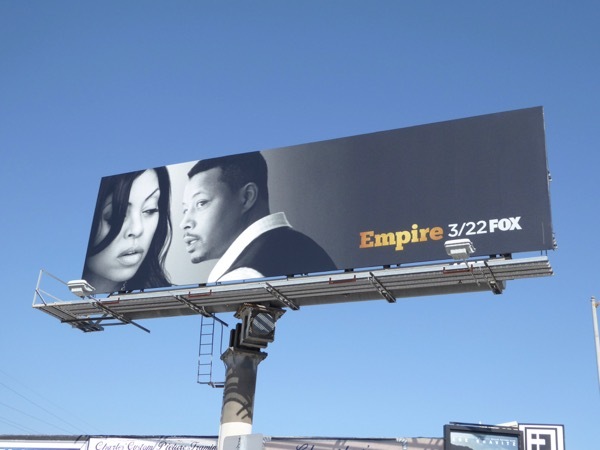 With the hip-hop drama entering its third season, just how long can the Lyons reign continue on the small screen and in the city skyline? 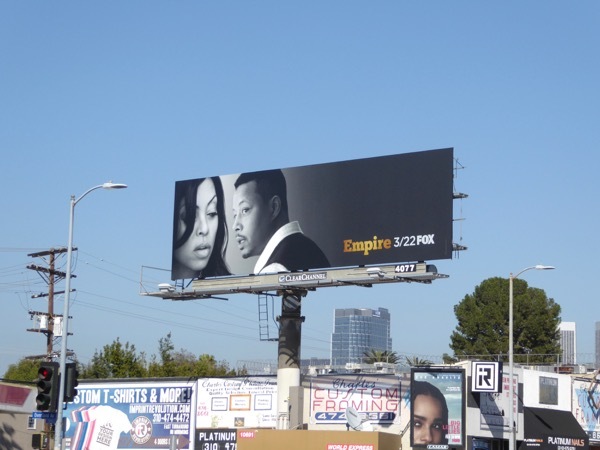 UPDATED: Empire is teasing us again in the skies of L.A. with this latest billboard for the second half of the third season. 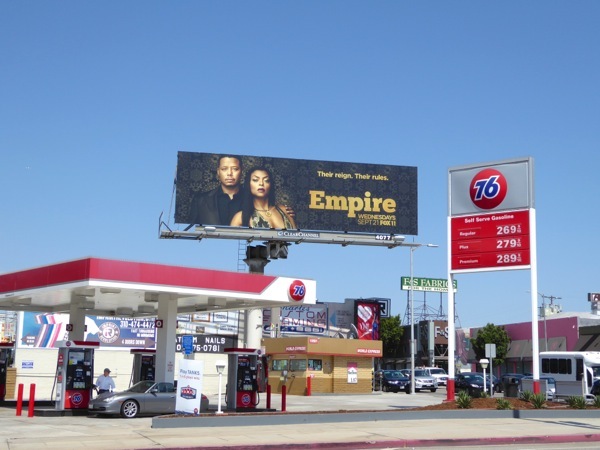 This stylish ad creative for the award-winning drama was snapped above Pico Boulevard at Overland Avenue on Valentine's Day 2017. 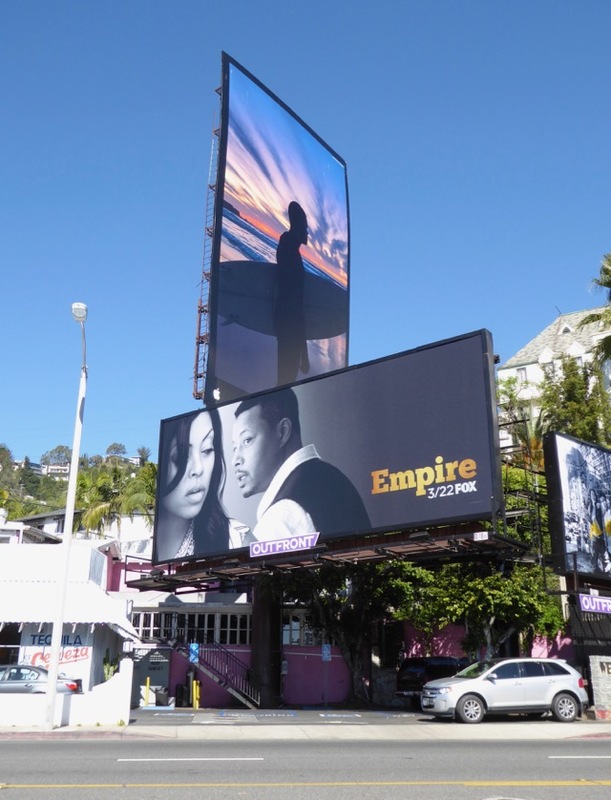 Plus here's another example photographed along the Sunset Strip on February 28, 2017. 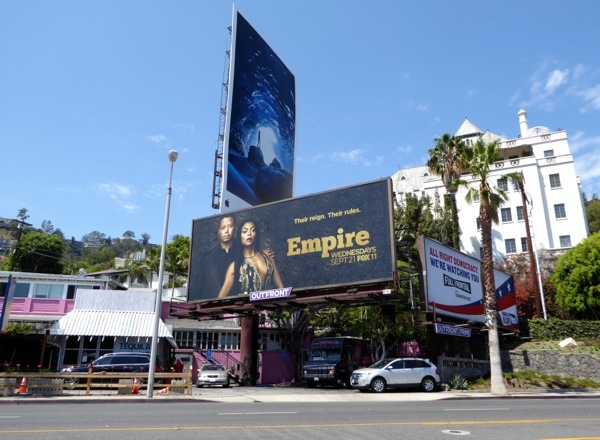 UPDATED: Here's also the Emmy consideration billboard for the third season snapped along the Sunset Strip on June 5, 2017.